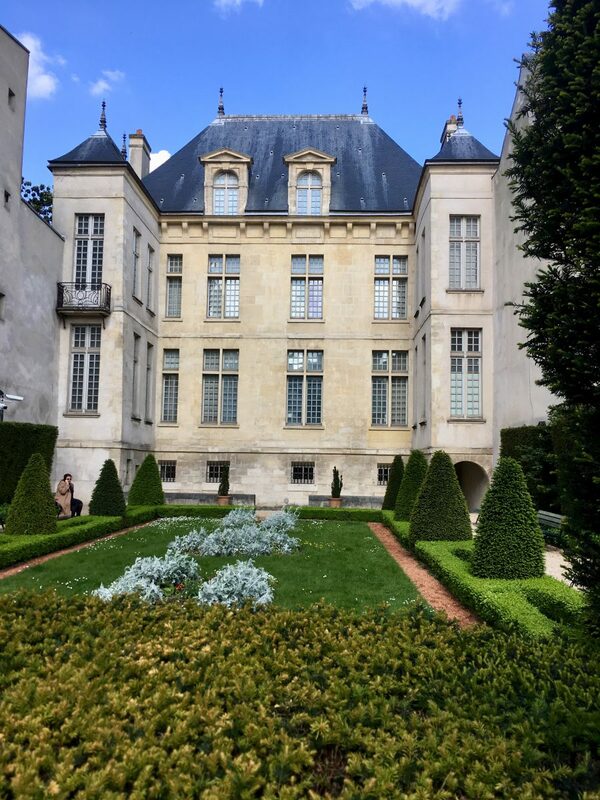 On our most recent trip to Paris we once again stayed in the Marais (3rd and 4th arrondissements) and used this as our base for visiting pastures old and new. One of my favourite buildings in the area is the one which houses many of Picasso’s works which were donated to the state in lieu of payment of death duties (Dation Picasso). The property, like many in the area, has an interesting story to tell. 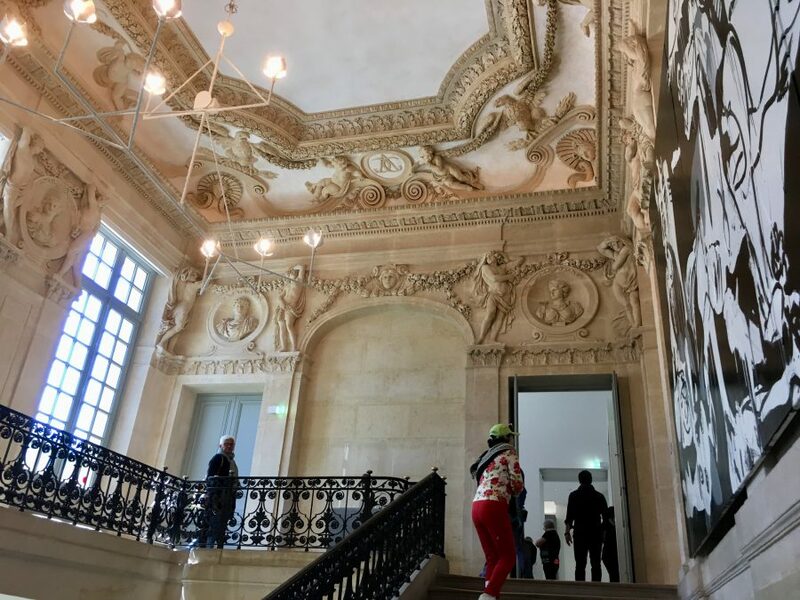 This is just one of many museums dedicated to the works of Picasso described as being, “the grandest, most extraordinary, if not the most extravagant, of the grand Parisian houses of the 17th century”. Hôtel Salé was built by Pierre Aubert, an important Parisian financier, advisor and secretary to the King. Aubert collected tax on salt on behalf of the king hence the house’s name, Hôtel Salé (meaning “salty” in French). He was a “middle-class gentleman” seeking to assert his recent social advancement. 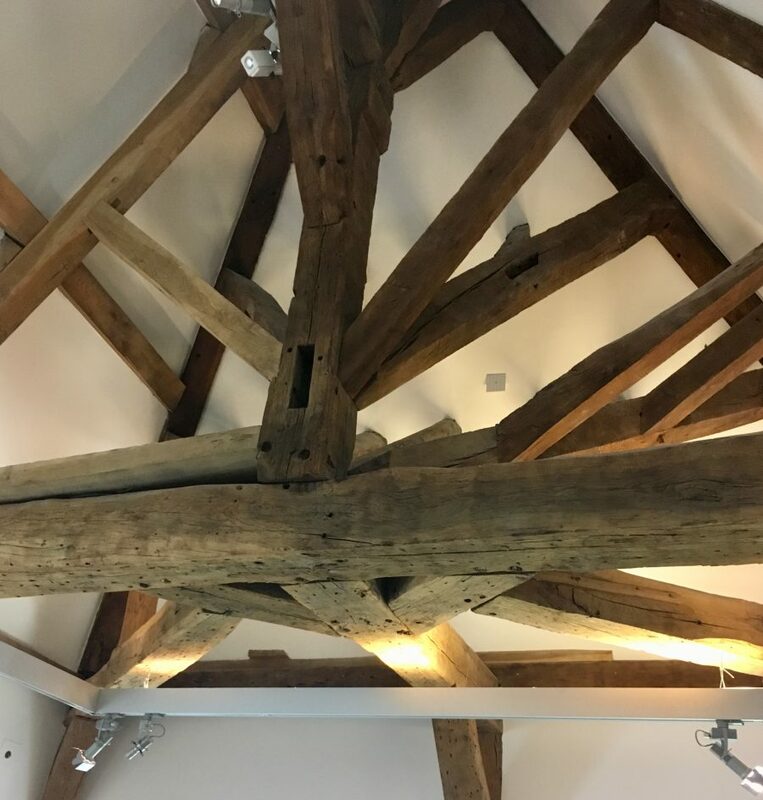 He chose a site in an undeveloped area where Henry IV of France wished to encourage construction with the building of the Place Royale and chose a young unknown architect called Jean Boullier de Bourges, who belonged to a local family of stonemasons, to design his edifice. It took three years to complete and in the final days of 1659, Aubert moved in. The Hôtel Salé comprises two corps de logis, two lines of rooms which extend the building’s surface area. Its footprint is asymmetrical: the façade giving onto the courtyard is divided in two by a perpendicular wing that separates the main courtyard from the rear courtyard. The courtyard, following a wide curve that flatters the façade, is punctuated by seven open bays to emphasise the central avant-corps on three levels. The front of the building is typically Baroque in style with an immense pediment emblazoned with acanthus, fruit and flower motifs while the façade overlooking the garden is much less ornate. 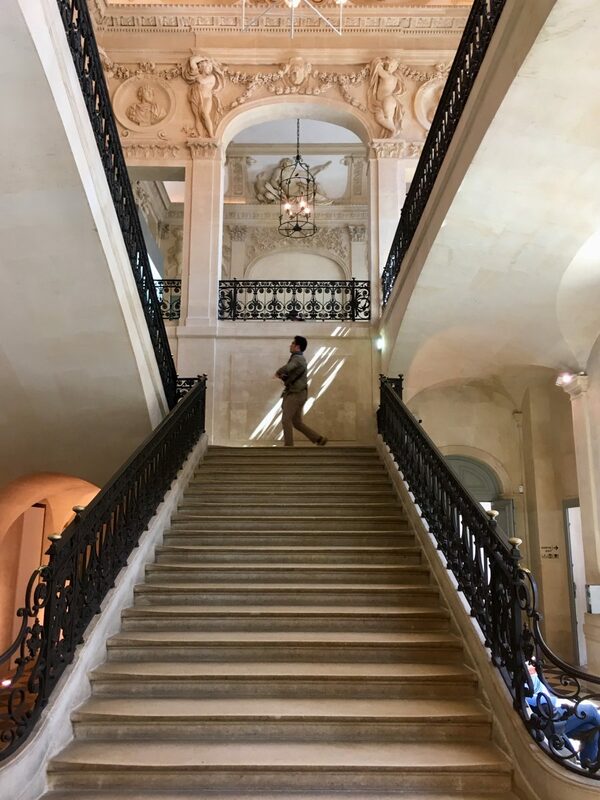 My favourite bit is probably the central staircase which has been entirely restored to its original condition. It is based on the stair plan designed by Michelangelo for the Laurentian Library in Florence. Instead of a closed staircase, two Imperial flights of stairs are overlooked by a projecting balcony and then a gallery. The staircase’s sculpted stucco is divine. It’s allegedly a physical translation of Hannibal Carache’s paintings in the Farnese Gallery” with eagles holding a lightning bolt, cupids adorned in garlands, Corinthian pilasters and various divinities vying for attention. Sadly, Monsieur Aubert was unable to enjoy his sumptuous surroundings for very long. In 1663 he was brought down by the same scandal that ruined Fouquet. The house then passed through numerous hands including the Embassy of the Republic of Venice. In 1790, the house was used during the French Revolution as an ecclesiastical bookstore. It changed hands again in 1797 and stayed in the same family until 1962. The City acquired the house in 1964 and the property was granted Historical Monument status on 29 October 1968. From 1974 to 1979, the hotel was restored and returned to its former spaciousness, After extensive renovations, the Musée National Picasso was inaugurated in October 1985. Its most recent renovation was completed in 2014. Picasso once said “I am the greatest collector of Picassos in the world.” By the time of his death in 1973, he had amassed an enormous collection of his own work, ranging from sketchbooks to finished masterpieces. 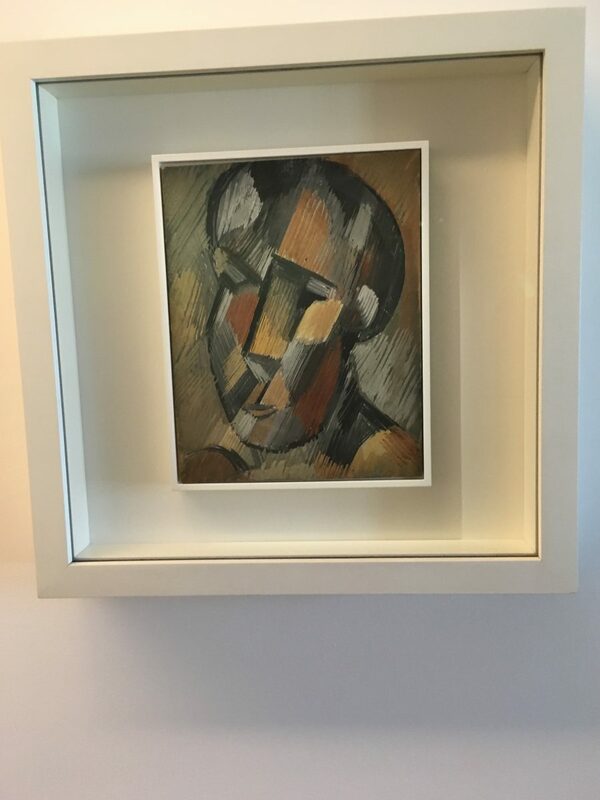 The “Dation Picasso” contained work by the artist in all techniques and from all periods, and it’s especially rare in terms of its excellent collection of sculptures. These works have been supplemented by donations from his heirs and acquisition of a number of other works through purchases and gifts. 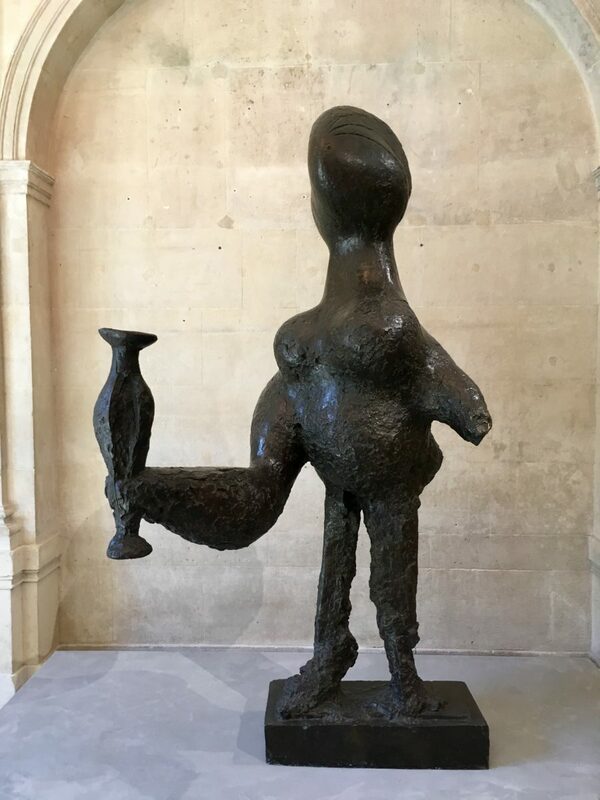 Today the Musée Picasso has over 5,000 of his works of art including 3,700 works on paper, ceramics, sculptures in wood and metal, and paintings. 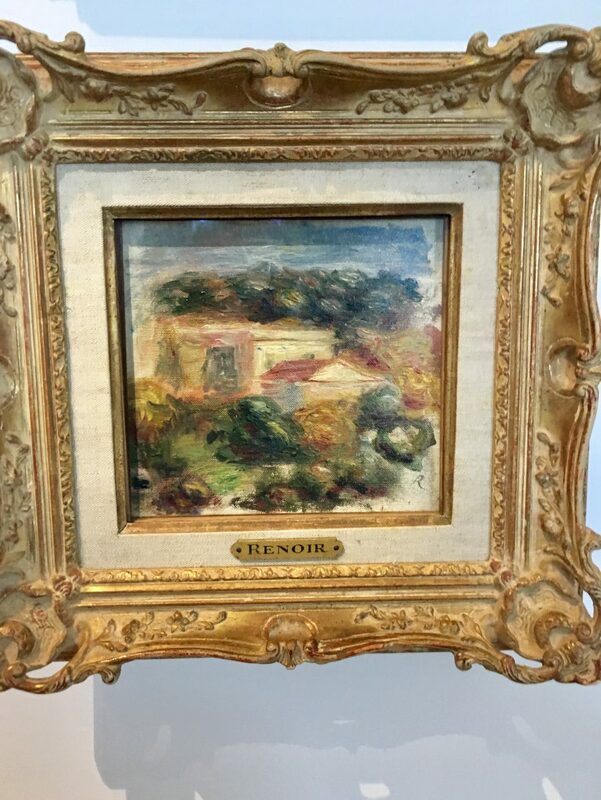 This is complemented by Picasso’s own personal art collection of works by other artists, including Renoir, Cézanne, Degas, Rousseau, Seurat and Matisse. 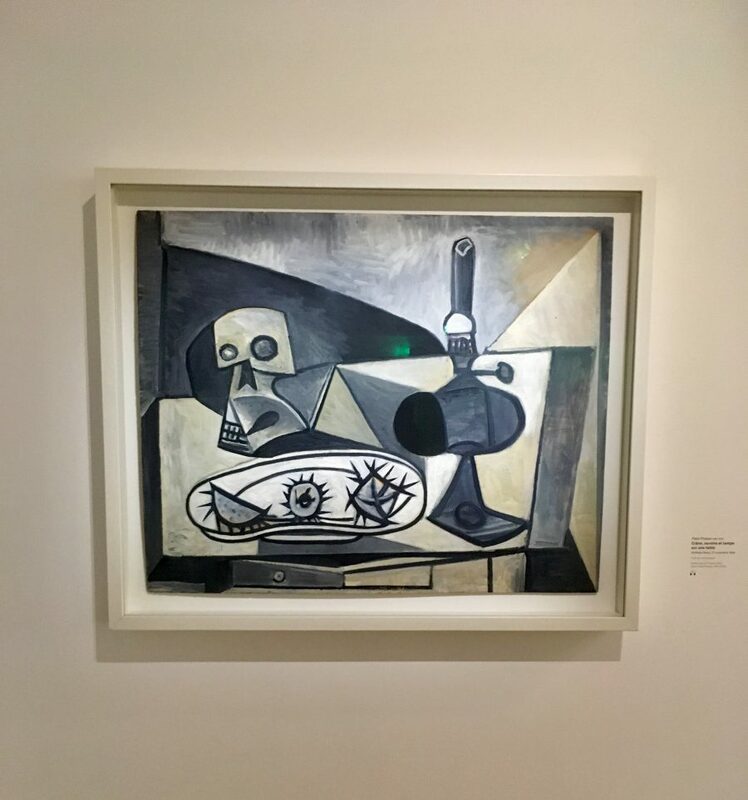 On the occasion of the 80th anniversary of its creation, the Musée Picasso, in partnership with the Museo Nacional Centro de Arte Reina Sofia (owner of the painting), has dedicated an entire exhibition to the story of this exceptional painting, one of Picasso’s most famous works. 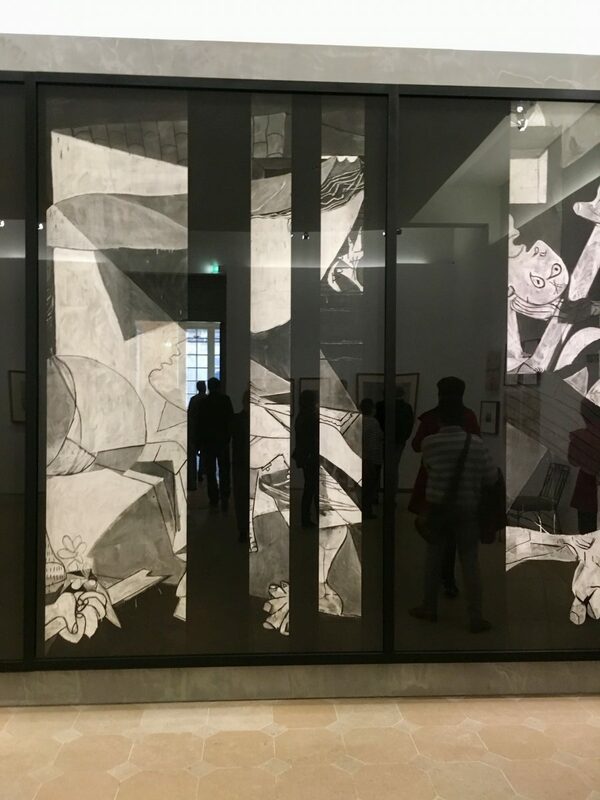 Picasso painted Guernica in 1937 in reaction to Nazi Germany’s devastating casual bombing of the Basque town Guernica during the Spanish Civil War. The painting shows the tragedy of war and the suffering it inflicts upon individuals, particularly innocent civilians. Its lack of colour only intensifies the drama. 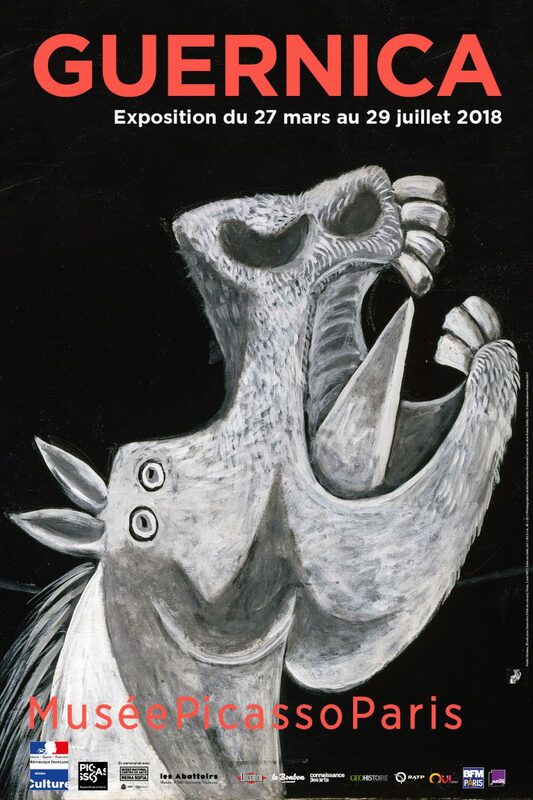 Guernica is a mural sized canvas (3.5m x 7.8m) painted in blue, black and white oils. Interpretations of Guernica vary widely and many contradict one another. Picasso was particularly provocative in his explanation of the painting. Many have read much into the mural’s two dominant elements: the bull and the horse, important characters in Spanish culture. However, ignore the theorists and just enjoy the painting. 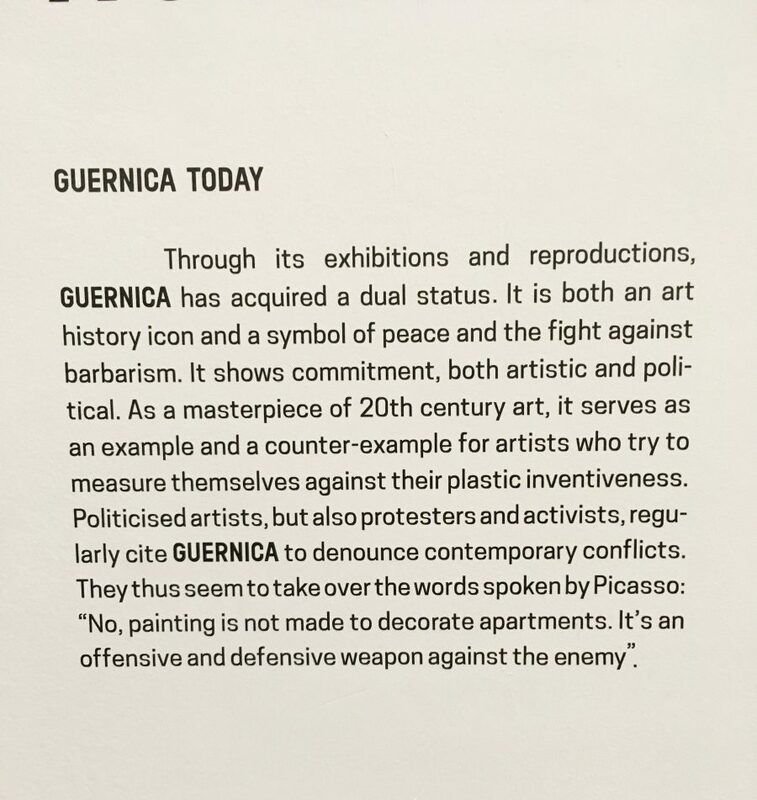 The loan from the museum in Madrid includes numerous sketches, thoughts, newspapers excerpts and after-thoughts of Guernica which gives it a contextual setting. 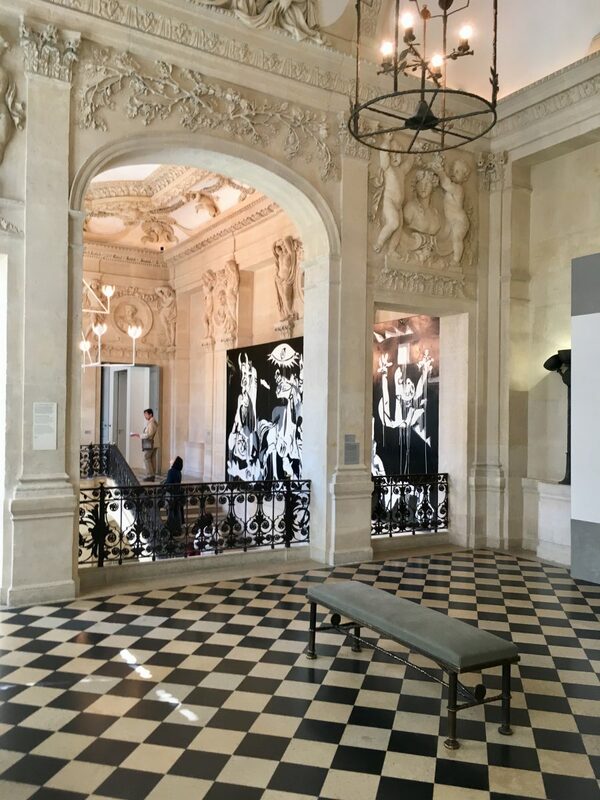 Aside from Guernica, there are plenty of other works by Picasso to enjoy, including some which he collected from his contemporaries all displayed in the wonderful Hôtel Salé. Don’t forget to explore the gardens afterwards. Thanks but there’s no recipe, just a narrative about my visit to the Picasso Museum! 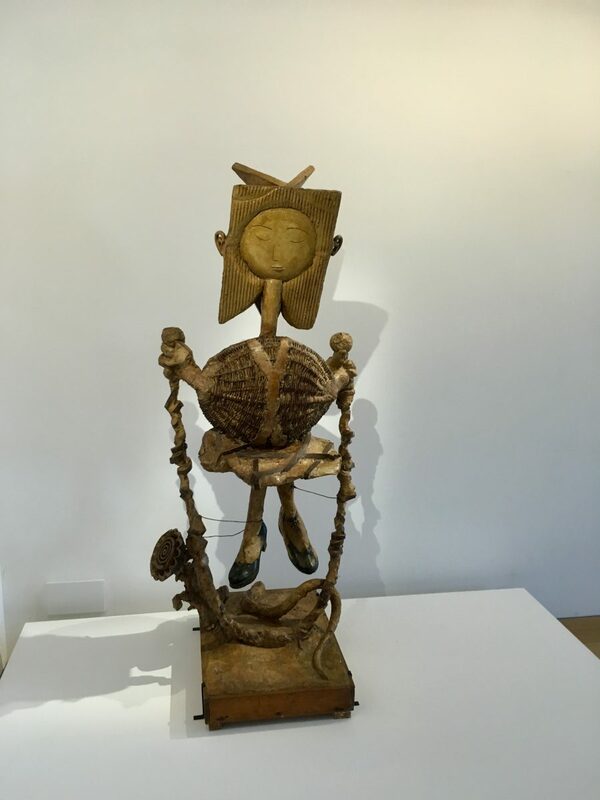 I love the Picasso Museum in Paris! The building alone is so beautiful, and Picasso is one of my favorite artists! Loved your background information on the building!